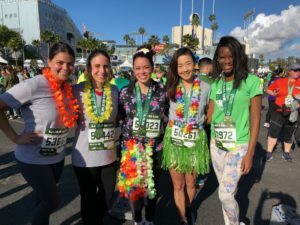 The Junior League of Los Angeles has been designated an official Charity Partner of the LA Big 5K. We will be raising funds for the Junior League of Los Angeles projects and programs we love. Help us support our community, give back, and effect CHANGE! 1) Follow this link to register for the race. 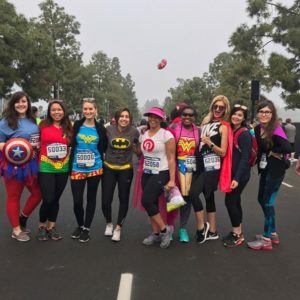 Be sure to designate the Junior League of Los Angeles as the charity you will be running for. 2) Sign up for fundraising on EverydayHero. Create an account or sign in to create your page. Please use your first and last names in your page name to help us quickly distribute development hours. 3) Using this toolkit, email, and social media, reach out to family & friends and start fundraising! You can get competitive here! 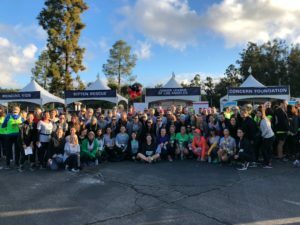 We encourage each runner/walker to raise $350. For every $350 raised, you will receive 3 Development Hours! Interested in being a sponsor? Check out our Sponsorship Packet.